"To ensure that the marine zone covered by the Labrador Inuit Land Claims Agreement is both protected and developed sustainably, the Statement of Intent that was signed means the governments will work together to explore new solutions – like Indigenous Protected Areas – in order to maintain healthy oceans and healthy coastal communities. With this partnership a major step is being taken in the right direction to build a legacy for future generations and ensure long lasting benefits for Inuit..."
There - amid the oceans and icebergs of the north Atlantic - Inuit culture is strongly tied to the abundance of the land and sea. Today the governments of Canada and Nunatsiavut are committing to a partnership to manage the ocean around northern Labrador. This is a historic commitment, and one that will ensure protection for future generations of Inuit. Catherine McKenna, the Minister of Environment and Climate Change and Minister responsible for Parks Canada; Johannes Lampe, the President of the Nunatsiavut Government; and Dominic LeBlanc, the Minister of Fisheries, Oceans, and the Canadian Coast Guard, have signed a Statement of Intent that would see the governments working together cooperatively towards an integrated vision for the marine waters of northern Labrador. This vision will recognize and respect Labrador Inuit rights and interests. Together, the two governments are advancing the 'Imappivut' initiative – which means 'Our Waters' - put forward by the Nunatsiavut Government. Crucially, this initiative supports collaborative management, which includes the creation and co-management of marine protected areas. Moving forward, the Federal and Nunatsiavut Governments will work with local communities and with the provincial government to potentially protect a stretch of coastline longer than the State of California. To ensure that the marine zone covered by the Labrador Inuit Land Claims Agreement is both protected and developed sustainably, the Statement of Intent that was signed means the governments will work together to explore new solutions – like Indigenous Protected Areas – in order to maintain healthy oceans and healthy coastal communities. With this partnership a major step is being taken in the right direction to build a legacy for future generations and ensure long lasting benefits for Inuit. "Our Government is proud of this historic partnership with the Nunatsiavut Government, the 'Imappivut' initiative, to protect the ocean in Northern Labrador. Together, we will not only help protect a region feeling the very real impacts of climate change – but through environmental stewardship, training, and employment – will provide economic opportunities for Inuit communities along the coast. Both governments understand we can protect the environment while strengthening the economy." 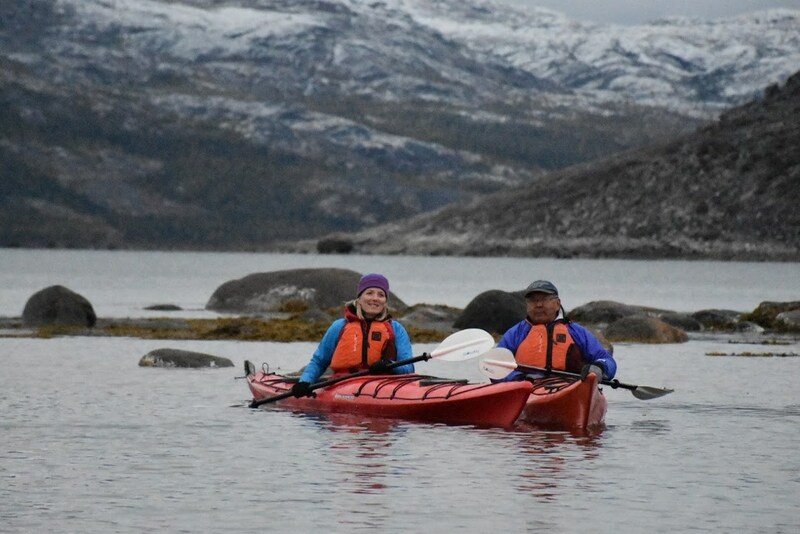 "The Imappivut initiative is about recognizing Labrador Inuit connection, knowledge and rights to our ocean. It is about respecting our history and current needs by partnering with the Government of Canada to develop a management plan that ultimately improves the lives of those who depend on the water and the ecosystem itself. We look forward to starting this process by gathering information from Nunatsiavummiut for the management plan and working with the Government of Canada and other stakeholders to realize the expectations and interests that Labrador Inuit have for how the ocean is managed." "Meaningful collaboration with Indigenous communities is key to protecting Canada's three oceans. By signing this Statement of Intent, our government is recognizing the important contribution Indigenous communities can make to protect our oceans and our commitment to working closely with the Nunatsiavut Kavamanga on marine conservation and sustainable management in the Labrador region."